These Gazebos create a romantic and cozy getaway in your backyard. Choose an existing design or create your own to enjoy those warm summer days in the shade. 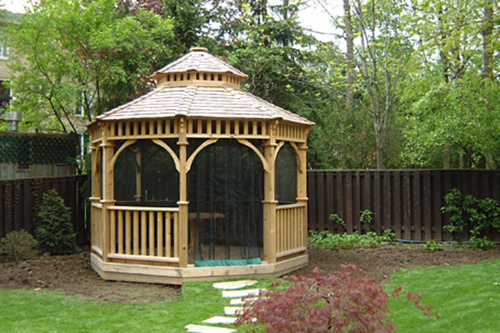 The quality and durability of cedar ensures your gazebo will welcome a lifetime of summers ahead. Options are available with screen kits or full glass windows which will make any design become a great asset to your outdoor living space.